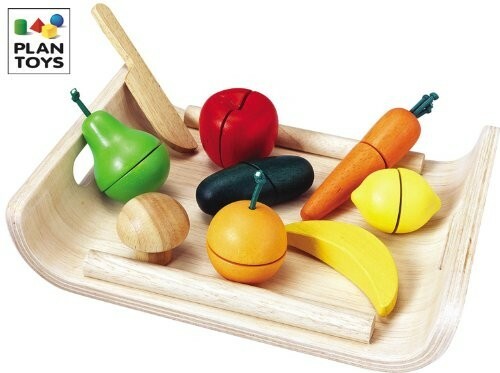 Plan Toy Assorted Fruits and Vegetables is a fun assortment of fruits and vegetables. The fruits and vegetables are easily "cut" in half with the wooden knife. Kids love the sound of the Velcro as they cut the vegetables. Make new fanciful creations by putting halves of different fruits together. It comes with a beautiful wooden serving tray. This toy promotes fine motor skills and imaginative play. 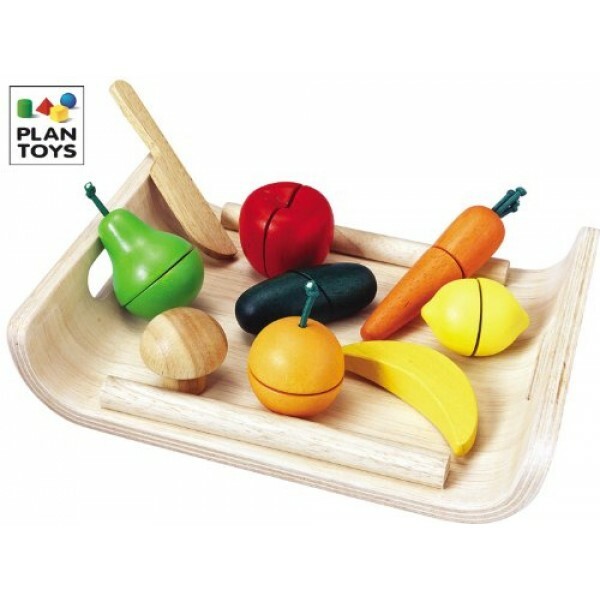 All Plan Toy products are made from organic, recycled rubber wood and are finished with non-toxic, vegetable-based dyes and paints.